Tempeh – Friend or Foe? So, that’s the good news – yummy, good nutritional value, happy bacteria. This morning, though, I woke up and took off my jammies only to discover a giant swipe of dermatographia across my chest – a classic sign of an allergic reaction. For those not in the know, dermatographia is an over reaction of your skin cells to any stimulus. So, apparently, I scratched an itch and it resulted in “hives” all along the scratch lines. Now to be fair to the tempeh, I’m not sure there’s a cause and effect relationship going on. The pollen count is really high here right now, and my allergies, in general, have been a bit out of control. And, so, the jury is still out. Do you react to soy? Is fermented soy okay? Or, do you need to avoid all soy? 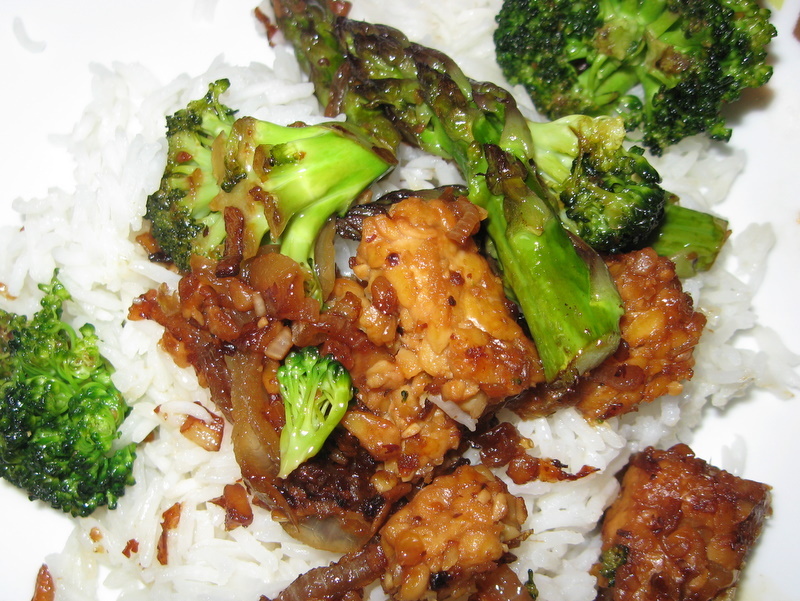 2 Responses to Tempeh – Friend or Foe? I’m definitely going to try tempeh again. I haven’t given up on it yet!